Shibata City is a bustling tourist area where many leading ryokans can be found. It was here that the restaurant Sushi Tokiwa was opened in 1954 (Showa 29) and has been loved by local customers ever since. It is currently in the hands of the third generation owner Kosuke Kobayashi. The interior was renovated in May 2017. 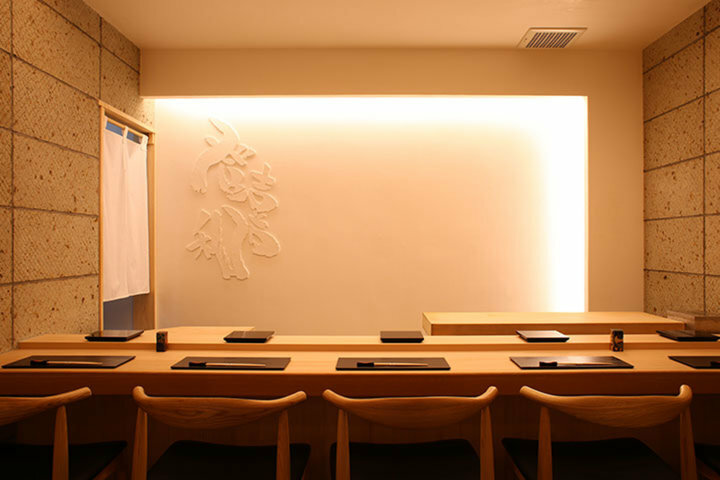 Unlike other sushi restaurants in the local area which have tatami seating, there are city-style counters, and by improving the sushi and side dishes, he has created a unique restaurant with added urban elements inside a traditional setting. From his early childhood, Mr. Kobayashi grew up surrounded by sushi and have been helping the preparation. After graduating high school, he moved to Tokyo with no plans to pursue a career in cooking. 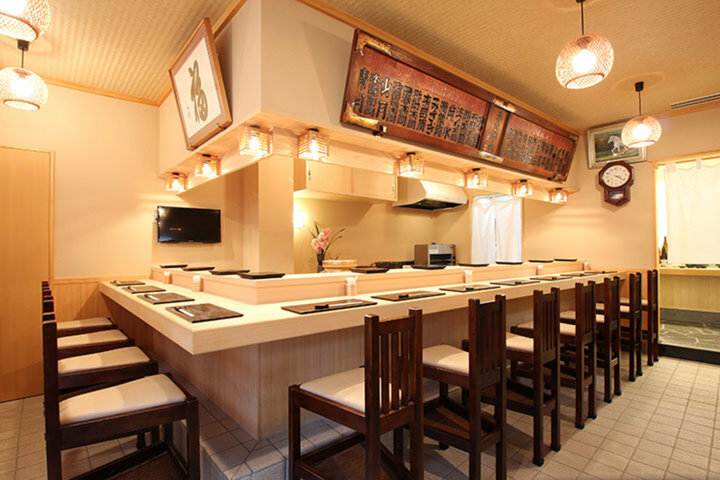 However, he later rediscovered the allure of sushi, and gained experience at Sushi Uoshin in Shimo-Kitazawa. 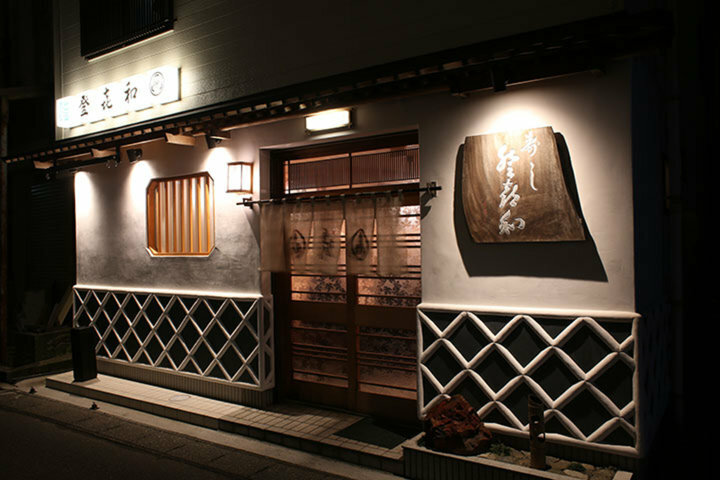 In 2010, he returned to Sushi Tokiwa, and after renovating the interior, set forth to improve the business even further. What is becoming a well-known type of Sushi is the popular Tokiwa Inari, which hasn’t changed since the restaurant's opening. Tokiwa Inari is a dish of rolled sushi which has been used in Niigata prefecture since ancient times, and is still popular today. It involves boiled chestnuts and walnuts wrapped in vinegared rice and deep-fried tofu. We also recommend the Shiromi and Nodoguro, which is served all year round. Crab is also popular, and there are various kinds for different season, such as Japanese blue crab, queen crab and hairy crab. The restaurant also uses Yamayuki tuna from Tsukiji market. The vinegared rice uses Sugaya rice from Shibata, and Koshihikari rice produced from Uonuma and Iwafuna. The quality and moisture of the rice made each day is different. In order to enhance the sweetness of the Koshihikari rice, rice vinegar is blended with 2 kinds of red vinegar which has aged for different periods, before adding salt and a little sugar. All sake which goes well with Sushi is from Niigata. The restaurant has prepared around 30 varieties of sake, including rare brands that cannot be found in the city, such as Ayumasamune, Kanemasu, Taiyouzakari etc. Although the outside has the appearance of a traditional restaurant, the renovated interior features an L-shaped counter, made from 300 year-old Japanese cypress and seats 11 people. There is also a private room with a 5 seat counter and 1 semi private room which can hold up to 4 people. Why not come and enjoy sushi and sake which is unique to Niigata in a setting which blends tradition with innovation.